Here’s a quick example of taking an incredible idea from a blog (or Pinterest) and creating from it. 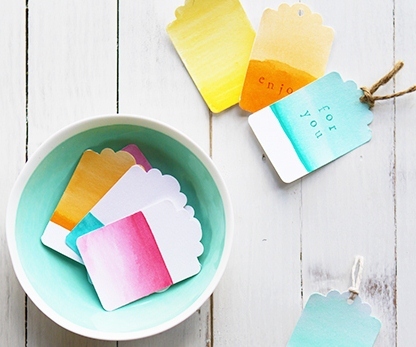 In early August beautiful watercolor gift tags were featured on Eat Drink Chic, a blog by Amy Moss. Feeling inspired by the post I set out to transform the amazing idea for a baby shower I was attending and had offered to present a “guest book” keepsake for the guests of honor. I had also recently attended another baby shower (it was a long, cold winter) and guests wrote well wishes on flat cards, which were placed in a scrapbook for the parents-to-be. Two ideas began to meld together! Using Amy’s process for creating the tags, I cut the watercolor paper into 2×3″ cards and started painting. 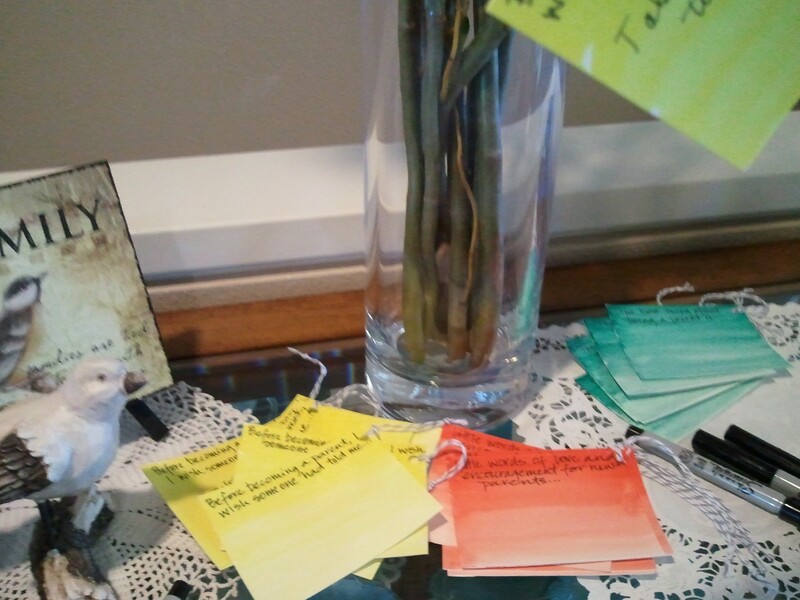 Once they dried, to help the guests share their thoughts and well wishes, I wrote one of the following on each card: 1) “The one thing I wish I knew before becoming a parent was..”, 2) “Little words of love and encouragement for the new parents…”, and 3) “The best thing about being a parent is…”. I then punched a hole in the corner and looped a piece of string through it so they could be displayed on willow branches in a vase. 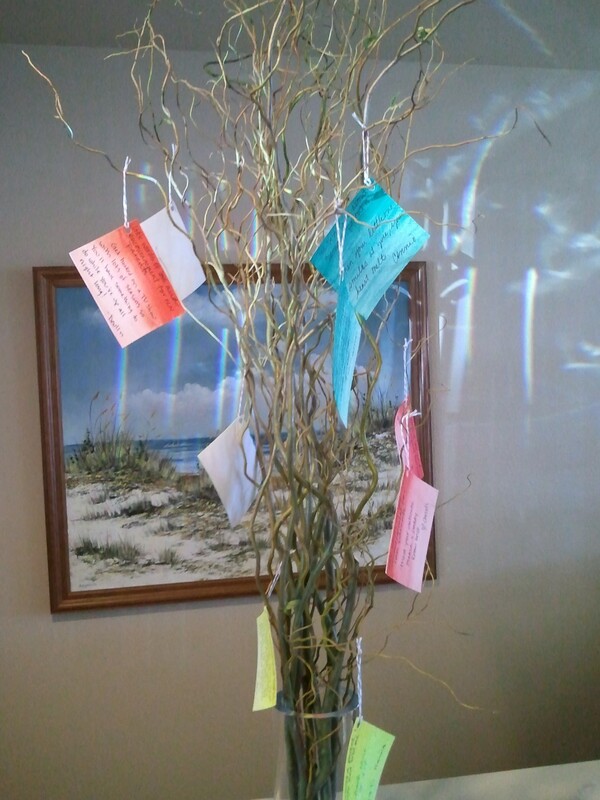 They turned out great and the guests really seemed to enjoy sharing their thoughts and encouragement with the soon-to-be-parents. The aunt-to-be collected the cards after the party and placed them in a special keepsake book she had created for her sister and brother-in-law. Amazing easy and adds a great personal touch for your next special occasion guest book needs.